Nassau Container Port is located on Arawak Cay in the Bahamas just two miles west of Downtown Nassau at the mouth of Nassau Harbor. 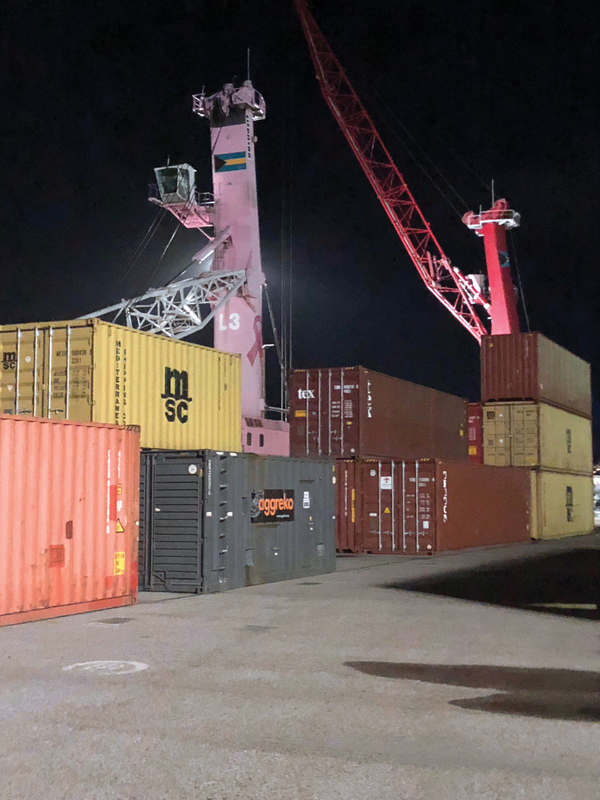 The Port is strategically located to handle shipping of cargo to and from the Caribbean and offers facilities for both domestic and international bulk, break bulk, container and project cargo customers. 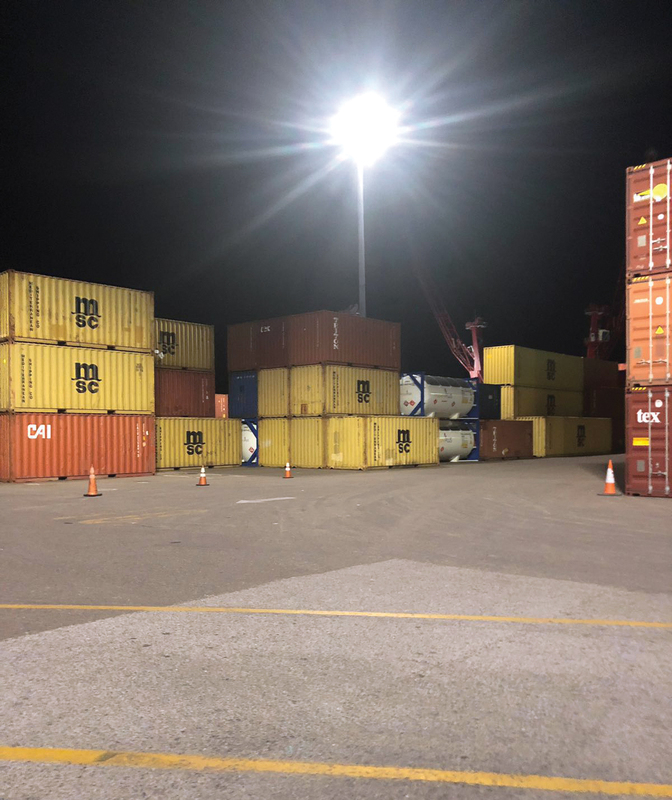 Nassau Container Port uses energy-inefficient metal halide lights in their yard during operations. These lights require constant lamp maintenance and do not provide adequate lighting levels or coverage to meet safety standards. In addition, container ships dock for loading/unloading only a few nights per week but without any controls the lights remain 100% ON wasting valuable energy. Retrofit with the NOVA HM LED High Mast luminaire along with the Bright Light Management System (BLMS) intelligent control platform. The NOVA HM LED is lightweight with versatile mounting options which makes it easy to retrofit to existing pole infrastructure. 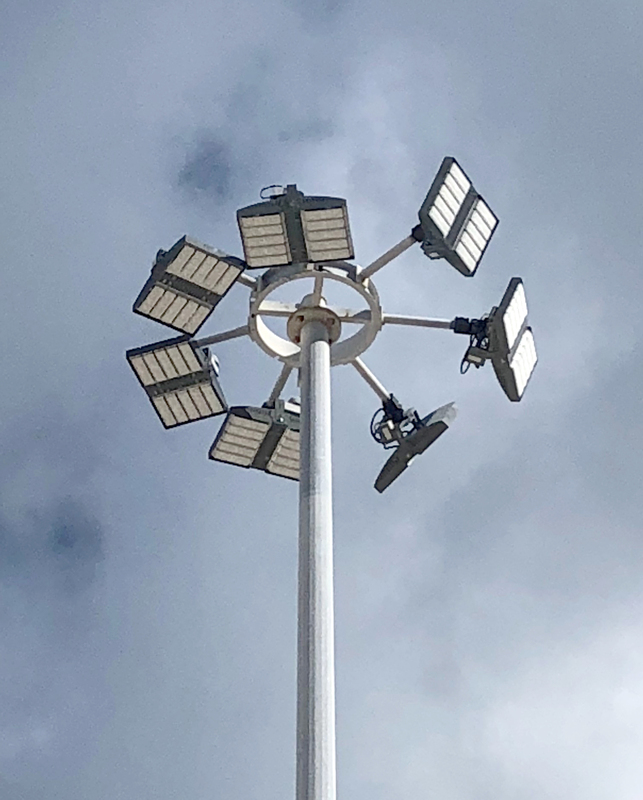 At 570 watts, the luminaire uses half the energy of a 1000 watt metal halide fixture and offers integrated glare shields to minimize glare for the surrounding community. A 100,000 hour L80 lumen depreciation provides long-term performance and reliability over the life of the luminaire. When used with BLMS wireless controls, 30% in additional energy savings is achieved resulting in a quick return on investment.